The use of anesthesia is indeed an art. As often as it is used, and as familiar as we all may be with anesthesia, we must still remember it can be scary for pets and people. The official definition of anesthesia is “without feeling”. The art of anesthesia lies in trying to keep the surgical patient cooperative, still, and pain-free without being too aggressive. Veterinary medicine now has the capacity for animal anesthesia to be as sophisticated as human anesthesia. A proper pre-surgical evaluation and examination, the surgeon, the surgery assistant(s), and the surgical monitoring equipment are all used to provide protection of your pet when undergoing a surgical procedure. The first part of the procedure is to know the condition of the patient before the procedure. Dr. Negola starts with a physical examination to determine any obvious problems. Laboratory testing will allow Dr. Negola to know how the pet's body is functioning. A sick pet, or a pet over the age of seven years requires additional testing. The pet’s liver must be able to detoxify the anesthesia, and the kidneys must be able to eliminate the anesthesia. When there is systemic infection present, it may be necessary to administer antibiotics for seven to ten days in order to clear up the infection prior to an anesthetic procedure. A negative heartworm test is also necessary for dogs. 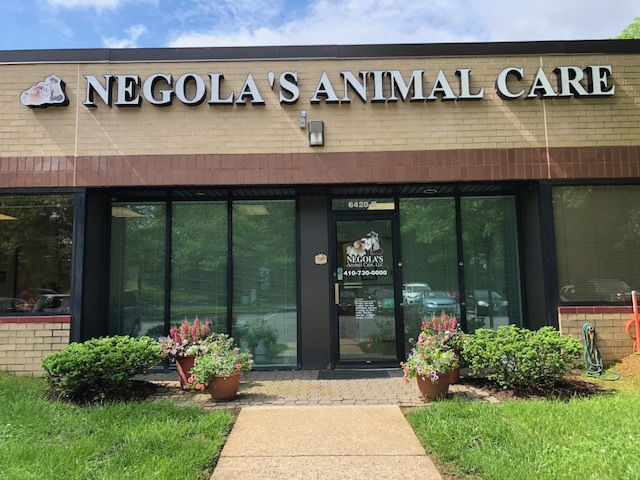 With the information gained from the examination and lab tests, Dr. Negola will create customized anesthesia for the pet. Today’s veterinary anesthesia drugs are the same used in human medicine. There are many different kinds of anesthesia drugs; some are administered by injection, others by inhalation. One current anesthesia of choice is Isoflurance, a very safe anesthetic gas that allows the pet to go under and wake up quickly. Isoflurance concentrates within the respiratory system and does not involve other organs. Therefore, it is the preference for older or sick animals. Many times, it’s used for both anesthesia induction as well as general anesthesia because of how safe it is. We sometimes use Ketamine, Valium, and Propofol instead of Isoflurance depending on what is best for the pet. After administration of the anesthesia, the pet is closely monitored during the surgery. The pet’s breathing must remain normal, a normal gum color and a normal heart rate should be present throughout the surgery as well. The pet’s face is watched for eye blinks and jaw tension; the feet and legs are watched for movement. Sophisticated monitoring equipment will be used to monitor the pet’s breathing, heart rate, temperature and blood pressure. In addition, EKG and pulse oximetry (monitoring of oxygen in the blood) are available.